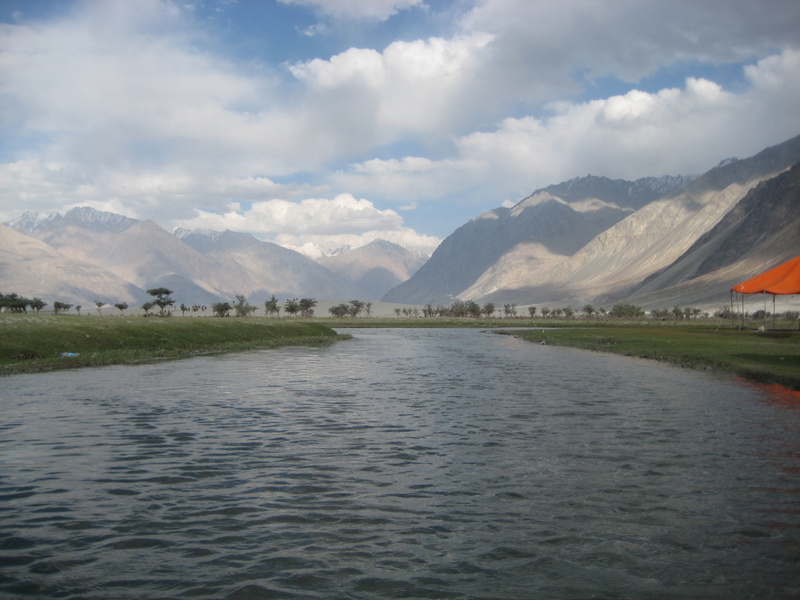 Nubra valley is a magical expanse of sand covered mountains sprinkled with rows of thorny bushes, and a small stream of water flowing through the landscape. The wind blows fiercely, forcing the visitors to look the other way. It is like a performance of a master artist who revels in the awe that he inspires before the curtain is raised. 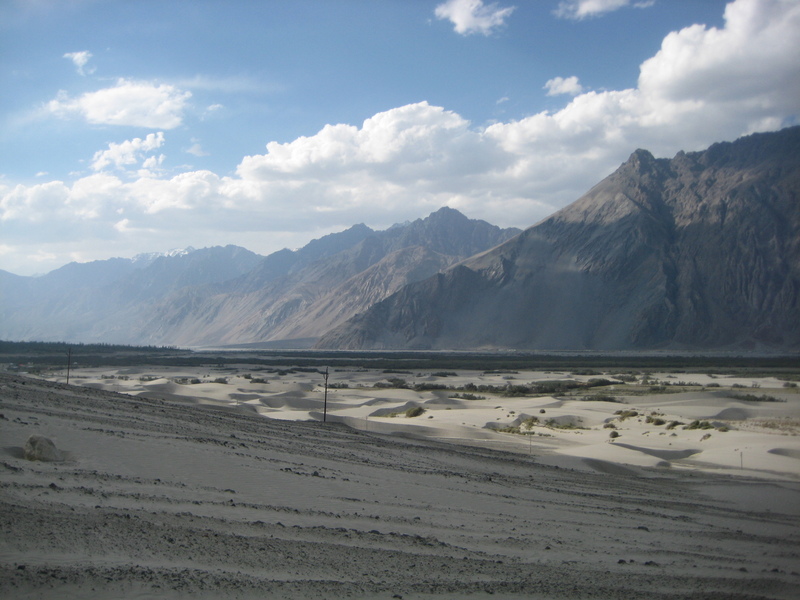 And as soon as the gush of wind passes, we are staring at the most unreal natural wonders – the sand dunes of Nubra. 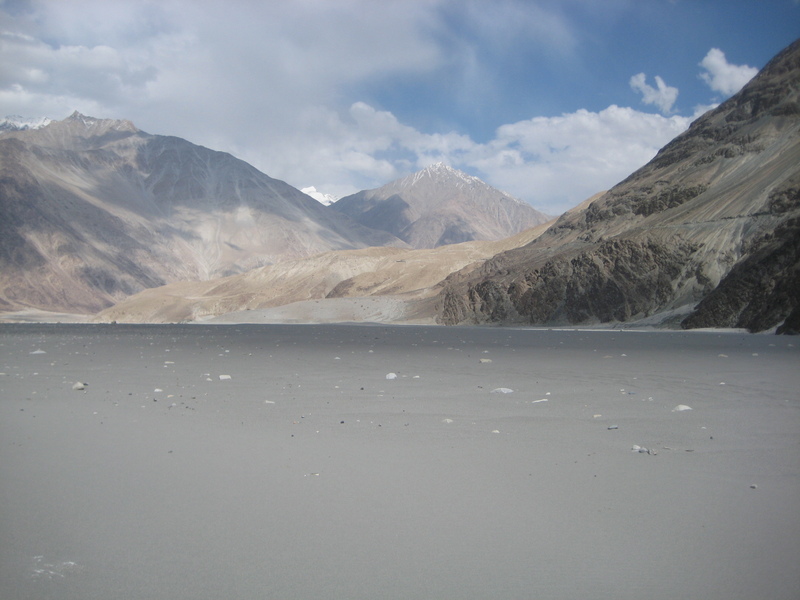 These sand dunes are unreal not because they are in the middle of snow-covered mountains, in a valley which has a river flowing through it. No. These are unreal because they are not out of place at all. It is as if these sand dunes were meant to be in these mountain ranges. To associate sand dunes with deserts is a gross mistake, and a severe stereotyping of natural phenomena. Just one look at these sand dunes makes the heart skip a beat. Like a thriller being played right in front of the eyes. The protagonists are of course the dunes, but the character artists are no muck either. There is the river, shallow, steady but still a river. Then there are the thorns, deadly dangerous and sneaky little bastards. The mountains, like everyone’s godfathers, are omnipresent. And then, just a few kilometres further down the road, you encounter an oasis; a stretch of lush green grass with a stream flowing unceasingly. Pan your eyes a bit yonder and you will see the sand and grit on the horizon. One can only imagine what this place would be at night – The moon shining down at the sand and the water body glistening like a snake. Both the opposites fighting for existence in the same stretch of space, enclosed beneath the watchful eyes of the mountains. A perfect setting for an action noir. 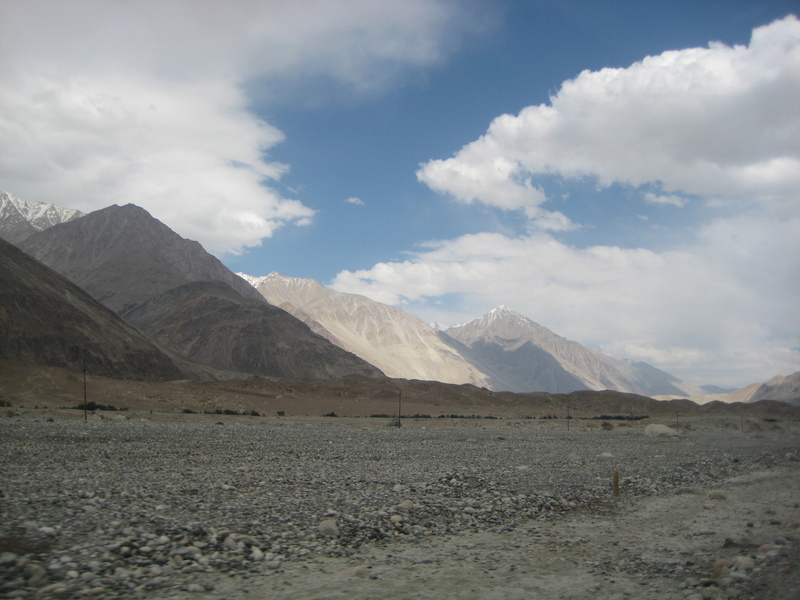 Having traveled to a lot of touristy places, I was a bit skeptical to go to Nubra valley. I feared that I might see another version of the dolphin’s nose or the sleeping lady. But this was worth it. 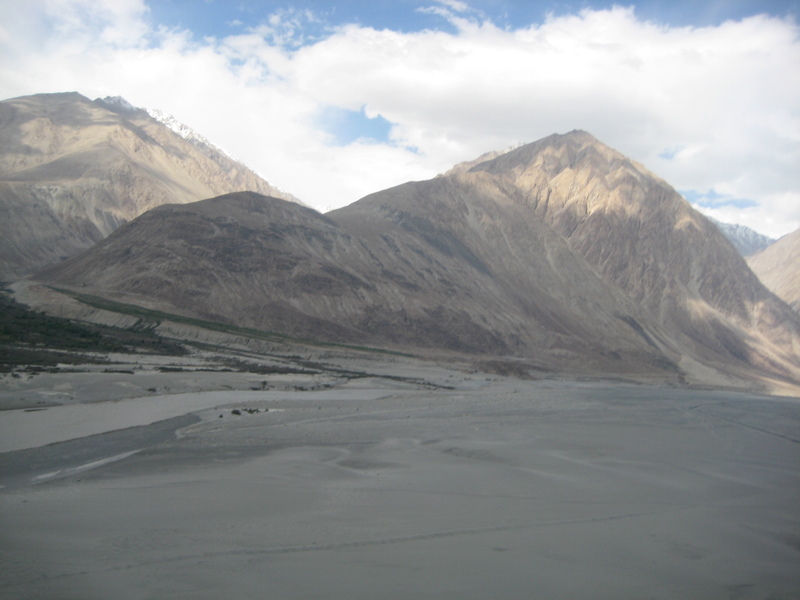 No matter how many tourists were taking joy rides on camel backs and the love birds sitting on the banks of the oasis, hand in hand; The Sand Dunes of Nubra are the most exciting tourist features on the Ladakhi excursion.